If your have your Windows product key, Microsoft will allow you to download Windows 7, 8.1 and 10 from their Software Recovery Center.–PC Pitstop. 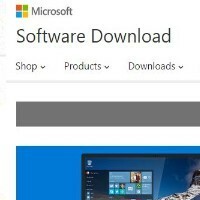 Microsoft is offering the legal download of Windows 7, Windows 8.1 and Windows 10 media directly from their Software Recovery Center as long as you have your 25-digit Windows product key. If you have a major brand name PC, your product key can usually be found on, in or behind the computer case. If you built your computer from scratch, you may have a scrap of paper with your license key on it. If you do not have your product key, you will not be able to download the disk images. I do not believe I recommended NOT to download Windows 10. My last article on the subject was how to save yourself if your install of Windows 10 goes wrong. I highly recommend Windows 10 for those that are ready and able to upgrade. Thanks for the feedback. Tried to get Windows 7 pro, using my proper key, got the message that it was not supported or was a fake.!! I paid for this from a proper retailer and it is on a computer that has had it confirmed, so I have no idea what MS are on about!!! How can I Download Windows 10, when I don’t have its product KEY, My upgrade was from Windows 7 Pro 64-bit, to Windows 10 Pro 64-bit, and I do have a legal product KEY, for Win 7 Pro. What should be my move if I will like to reinstall Windows 10? Also there is no documents on these procedure of how to work around these problems. I am trying to repair a mail/calendar app that is not working with Windows 10,,, with no help!!! I go to my MS recovery software on Win 10 and it does not exist.